While getting my haircut and a beard trim in 2008 my barber Ron Thomas (Papa 2008) suggested I attend the Contest in Key West. Little did I know that I could never thank Ron enough as there is no where on earth where you can have this much fun with your clothes on. My 42 year old son, Matt has been a contestant the last two years and would not miss the event. On the flight home after the first year of his attendance he commented that he never thought he could have this much fun and comaraderie for four days. The Papas and the contestants are a terrific group of fun loving characters that keep growing every year. In the six years of my attendance I have had the pleasure to travel-with and experience some great moments including Cuba, wearing a wool sweater in 100+ temp., deep sea fishing, gator hunting, dinners and great cocktails. Over the years I have had experience being a USAF combat pilot, Airline pilot, successful Restaurateur , Father, Grandfather and avid Global Traveler. Since entering the Look alike Contest, I have developed an interest in painting and sculpture as a means of providing articles for the yearly Scholarship Fund Auction. 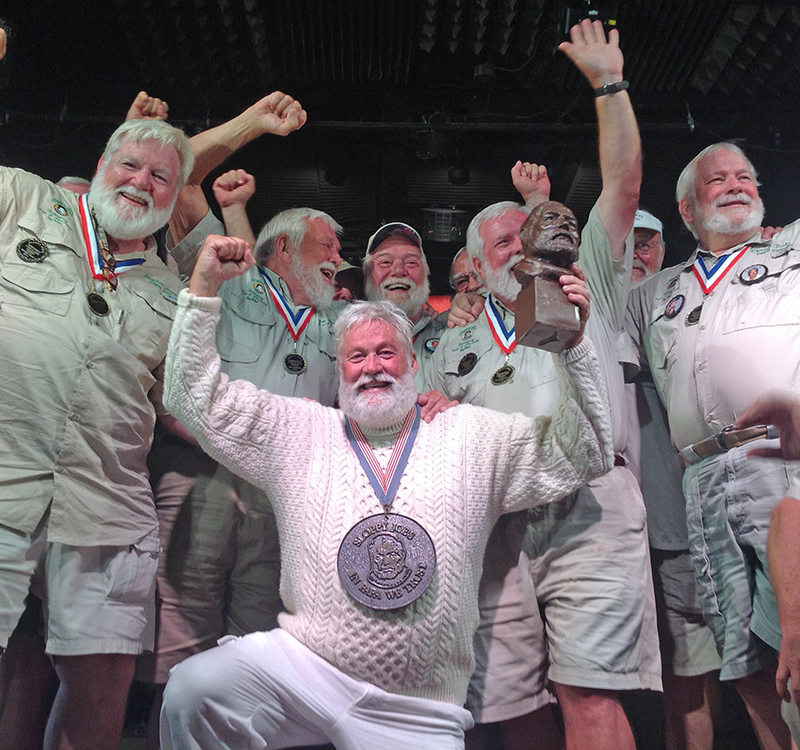 Having developed a keen interest in Hemingway over the last five years I have attended numerous conferences representing the Hemingway Look Alike Society as an attendee and speaker. Representing the Look Alike Society this year has been a privilege and a challenge in furthering the image and brand for the group. That's what it's all about...get involved as a contestant and exhibit your interest in getting to know the Papas...we could be your next best friend.